Our friend, photographer Brian Worley explains a really easy way to transfer RAW and or JPEG images from your EOS camera to your iPhone or iPad using a low cost USB on-the-go to lightning adapter. I recently discovered just how simple it is to select images from my EOS camera and transfer them to the Photos app on my iPhone. The easy process works for a whole lot of EOS cameras too. Apple’s recent iOS 10 added the ability to edit and work with RAW images on your iPhone, the trouble has been getting RAW images on your phone. Canon’s Camera Connect App only allows JPEG images to be transferred from their cameras with WiFi connections. If you try to transfer a RAW then they are simply converted to JPEG and stored on the phone. 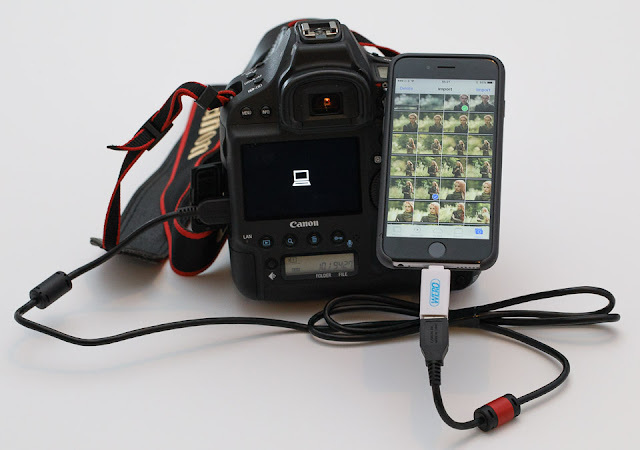 The solution uses an inexpensive USB On-The-Go to Lightning adapter and a USB cable to connect your EOS camera and iPhone. I purchased my adapter from Amazon for less than £10. Buy a USB OTG to Lightning adapter. Plug the standard camera USB cable in to the adapter, and the other end in to the camera. Unlock the iPhone and plug the lightning adapter in to the phone, then switch on the camera. The phone will start reading images from the cards in the camera. If you have two cards, it reads from both cards – thanks to Colin Edwards for asking me to check. I have access to a number of cameras and so far all of them have been able to transfer images from their cards to my iPhone. My list is not exhaustive, but does show the possibilities. If you get this to work with other cameras please add a comment below. I have successfully transferred RAW images – even dual pixel RAW – from the EOS 5D Mark IV and can then edit them with Snapseed or Lightroom Mobile. 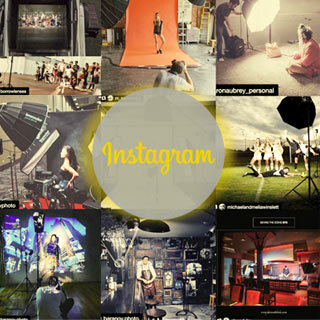 Brian Worley is a photographer, photo trainer based in Oxfordshire, UK. I’m a Canon EOS system specialist and I frequently bring additional light to my pictures in the form of a few Speedlite flashes. 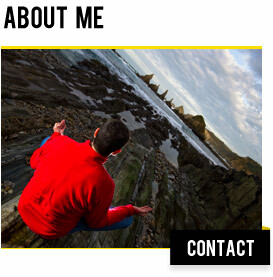 I regularly write articles for photography magazines in the UK.